The Blaise Pascal International Chairs of Excellence Call for Applications – 2019 is now open! The Blaise Pascal International Chairs Program enables eminent foreign and expatriate researches to be hosted by higher education and research institutions of the Paris Region and provides necessary funding for their research project. Founded in 1996, The Blaise Pascal International Chairs of Excellence has enjoyed a prestigious reputation worldwide: 5 Nobel Prize winners among 98 awards recipients, 11,4 million euros in funding provided by the Paris Region, favorable hosting conditions and internationally visible scientific results. By hosting world-renowned foreign researchers, the Paris Region addresses its research policy goals; in particular, it aims at developing top-ranked universities and campuses and enhancing international attractiveness of its higher education and research institutions. Given the low number of female applications in previous years, the Paris Region strongly encourages women scientists to apply. Each Chair holder is to be hosted by one or more higher education and research institutions of the Paris Region for the minimum hosting period of 12 months (full-time) that can be spread over 2 years. The exact entry date is defined by a host institution. This call for applications is open to high-level foreign researchers (without any condition of nationality) or expatriate researchers in position abroad. They must propose an ambitious research project that should be carried out in collaboration with researchers in host laboratory of the Paris Region. Applications must be drawn up jointly by applicants and their host institutions in the Paris Region. All the applications must be preselected by Comues (associations of universities and higher education institutions) and submitted by hosting institutions after the preselection phase. Each Comue association (or hosting institution which doesn’t belong to any Comue) may present up to five applications, of seven applications if at least two applicants are women. This 2019 campaign is open to projects of all disciplines and all scientific fields and in particular to those in human and social sciences. The candidate must propose an ambitious research project (regardless of research topics) that he (she) intends to conduct in collaboration with a laboratory attached to a host higher education or research institution of the Paris Region. In order to disseminate the results of their research, applicants must propose a teaching program including at least 10 lectures, at least one seminar for students and young researchers of the Paris Region as well as one public talk presenting research carried out during their stay. They also submit an end of stay report describing the results of their research and their activities during the stay. Depending on their availability, chairs-holders are invited to attend (PhD) students’ meetings organized by the Paris Region. The award-package is attributed to a public or private non-profit research or higher education institution situated in the Paris Region which laboratories will host the chairs-holders. The maximum award package is 170 000€ per chair. This finding covers mainly the researcher’s pay, as well as some operating costs needed to carry out the research project: cost of hiring assistants and researchers, travel and installation expenses, conferences and seminars organization cost…Equipment costs and management fees are not covered by the package. In addition to funding provided by the "Blaise Pascal International Chairs of Excellence" program, host institutions are to provide additional resources that will reinforce the candidate’s research activities. This co-financing may come from different sources, like COMUES, enterprises, foundations, etc. Preference will be given to applications with co-funding. In order to facilitate entry and residence in France, the chair-holders and their families will be given personal assistance. This assistance and support are to be provided by a Comue association or a host institution, through their hospitality services and partnerships. A part of the award package can be used to provide necessary hosting conditions. The Paris Region contributes to better hosting conditions through its support program Acc&ss designed to improve hosting and assistance to foreign researchers, as well as by making available its rental housing stock at the Maison de l’Ile-de-France and at Victor Lyon Foundation, both situated at Cité Internationale Universitaire de Paris. Deadline for the submission of applications is May 2, 2019, 12h00pm. Applications must be complete, comply with the requested format and submitted in accordance with the established deadline. Commitment letter from a private partner (if the project is co-financed). 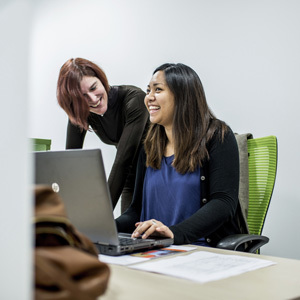 In order to facilitate young people’s access to the labor market, the Paris Region adopted in 2016 its “100 000 internships for young people” measure. As a result of this measure, a host institution receiving regional funding under “Blaise Pascal International Chairs of Excellence” program will have to recruit two interns for a minimum period of two months. Deadline for the submission of applications is May 1, 2019, 10h00am. In partnership with Air France-KLM, Dassault Systems and Total, Paris Region will be attending the leading world fair dedicated to consumer electronics and technology until January 11, 2019, along with startups working in the field of applied artificial intelligence. 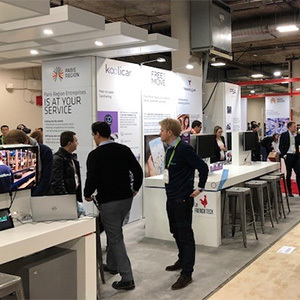 The theme chosen for the 2019 edition of the Las Vegas Consumer Electronics Show (CES), the leading world fair dedicated to consumer electronics and technology, is Artificial Intelligence applied to business development. Like in 2018, Paris Region will be part of the event with some forty Ile-de-France startups, whose ambassadors will be presenting solutions in various fields of Artificial Intelligence applied to health, mobility, or the design of a smart city. This time, Paris Region Enterprises, the agency promoting Ile-de-France attractiveness, also partnered with Air France-KLM, which represents more than 150 million clients and a combined turnover of $229 billion across 150 countries, to display a rich ecosystem of expertise and talents that provides business opportunities to international companies willing to boost their development in Ile-de-France. Ile-de-France is home to an ecosystem of more than 8,000 startups, and a pool of scientific talent that attract leading international companies, notably in the realm of Artificial Intelligence. Following the success of the first “AI Paris Region Challenge” it announced at the CES in 2018, Paris Region continued its action to support the development of Artificial Intelligence with the launch of the “AI 2021” Regional Plan in October 2018. Linkfluence combines AI and human expertise to help brands transform their social web-generated data into consumer habits insights. Victor & Charles use AI to enrich a client profile through public data. Exactcure creates a digital twin of each patient to analyze the effects of medication and drug interactions for each individual by using AI. The personalized simulation also allows health professionals to monitor their patients’ condition remotely, and in real time. 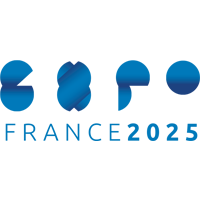 Exactcure joined the 3DExpericence Lab, Dassault Systems’ growth acceleration program, in 2018. Gyrolift works on major features coupling sensors and AI, in a world where personal and urban mobility is growing ever more dense and complex, to prevent high-risk situations and grant increased autonomy to the users of their inclusive micro-mobility solution. Gyrolift integreated the 3DExperience Lab, Dassault Systems’ growth acceleration program, in 2018. Zero2Infinity created Bloostar, a low-cost eco-friendly launcher designed to carry small satellites into low orbit. Assisted by a high-altitude balloon, Bloostar democratizes access to space, while allowing very competitive data capture. Zero 2 Infinity joined the growth acceleration program of Dassault Systems, the 3DEXPERIENCE Lab, in 2018. DC Brain offers an AI service applied to smart networks (smart grid, smart logistics...). ESoftThings is specialized in the development of products and platforms for Autonomous Vehicles and Smart Devices. FieldBox.AI is a precious partner for manufacturers determined to dramatically improve their operational efficiency by implementing Artificial Intelligence at the heart of the factories to continuously and autonomously maximize machinery and logistics operation. Uavia presents a management platform for autonomous drones. The startup develops the concept of the Internet of drones. Adilson : Zen, immersive and multisensory bubble helping disconnection and recovery. All In Factiry SAS : Book & Plug is a connected and collaborative charging station aimed at the owners of electric vehicles. Arioneo : The connected girth iPulse allows amateur and professional riders to monitor the physiological and athletic performances of their horses. Blade : Shadow provides high-end PC features accessible on any web-enabled device. Blockchain Certifies Data SAS : Application allowing the French Grandes Ecoles and Universities to certify their diplomas on the Blockchain. Canopée Structures SAS : Islets of coolness and biodiversity whose autonomous and connected structure holds up a plant canopy. Helpline : A digital travelers service operated only by City Helpers (real people enhanced with AI). Daan Technologies SAS : Bob is the first dishwasher for people who cannot afford one. Datakalab SA : Measuring the customers’ emotions in all the contact points of a brand through neuroscience and deep learning. Dataklub : Manipulate your big data in augmented reality by voice and gesture command. Healsy : The first AI blood-sugar level prognostic device able to adapt to the physiology of each patient. KSH : Ultra-visible and connected motorcycle helmet sending your geo-tracking information in the event of a fall. Meero : Artificial Intelligence applied to image editing. Your photo and video reports sent worldwide in 24h. Mobioos.AI : When AI helps you develop the AI-based software you need. Mov'Inblue : Car-share solution with a digital key via Bluetooth and a Plug & Play telematic box. Mywah : The only wine bar instantly and continuously serving the wine at optimal temperature, 1 glass every 15 seconds. Numerized (Splasher SAS) : Light and HD scan for an ultra-realistic and interactive e-commerce 3D experience. Pastel Health : Platform creating chatbots for the health sector. Prevision.IO : Automated machine-learning solution able to generate and unfold predictive patterns for all cases. Skillogs : Vocational training e-learning platform entirely personalized by AI. Sport Quantum : Connected measurement systems for precision-dependent sports (Ping-Pong, golf, archery…) offering a digital environment that stimulates progress. Teedji (Mobeelity) : Mobeelity is a multimodal service that maximizes daily journeys and accompanies the mobility plans of businesses and communities. The Concrete Family : Le Pavé Parisien is the first Bluetooth connected speaker in concrete, 100% made in France. Universal Reward Protocol : Blockchain-based protocol allowing retailers and brands to reward the shoppers. Unsupervised.AI : Smart robots revolutionizing delivery: Maryam, a logistics warehouse, and the quadruped Aida, for the last stretch. Urban Circus : Connected and highly visible clothing for a safer mobility. Videolabs : The designers of VLC revisit virtual reality in Open Source, and create the social Video network. XXII : Smart solutions for real-time video-stream analysis applied to security, retail, industry and smart city planning by a Deep Tech expert. Computing sciences (« RFSI »). These research networks involve many operators such as universities, undergraduate schools, laboratories, socio-economical partners… working hard to meet the challenges of the future. Paris Region and DIMs are engaged in tremenduous efforts to meet high demand on innovation, more international networking including scientific conferences and bringing society to scientific topics. Paris Region greatly funds DIM (20,000,000 € in 2018) to bankroll their research facilities, research and PhD staff, collaborative projects, scientific conferences and events, etc..
Paris Region aims to reinforce its scientific regional influence, especially to attract foreign research fellows and professors. It is also a good way to enhance and to economically develop the region by facilitating knowledge and technology transfer. 105.800 researchers, 40% of French researchers and 6% of European researchers. How can we both improve urban transport, and reduce environmental pollution along the highways, Périphérique ring road, and expressways of Ile de France? May 24th, the Greater Paris Metropolitan Forum initiated an international consultation to develop a comprehensive response to this challenge. In a context of strong technological innovation – search for new motor technologies, exploiting of artificial intelligence applied to autonomous vehicles – and given the adverse effects of pollution and congestion, it is now essential to rethink the function, use, and place of the motorway network in the metropolis of tomorrow. Our citizens’ daily mobility must be improved, while we also reduce the environmental impact of road traffic, and better integrate these infrastructures in the urban fabric. 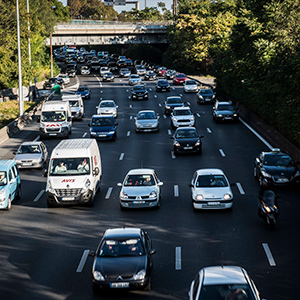 Concrete solutions must be provided to tackle the chronic problems of transport and travel in Ile-de-France, since enhancing the public transportation provision won’t be sufficient to address them. Aware of these challenges, the local authorities grouped within the joint body of the Greater Paris Metropolitan Forum, in partnership with the State, launched an international consultation about the future of the highways, Boulevard Périphérique and expressways of the Greater Paris last May 24th. The main partners involved in this consultation are: the State (Ministry of Transport), Paris Region, the City of Paris, the departments of Val-de-Marne and Seine-Saint-Denis, the Greater Paris Metropolis, the Association of Ile-de-France mayors, as well as territories and inter-communal bodies. €2.7M, including €1M granted by Paris Region, shall be devoted to these explorations. Four multi-disciplinary teams (architects, engineers, urban planners, economists) are carrying out parallel collective studies that will provide medium and long-term prospective scenarios about the evolution of the highways, ring road and expressways of the Greater Paris (with milestones in 2030 and 2050). It will also be a question of sharing these issues with the citizens and civil society, since the conclusions of these studies will be displayed during a public exhibition, and consultation schemes shall be set up all along the process. Find a viable economic model. The Smart Navigo program, initiated in 2016, is to be tried out by the end of 2018. Soon, our mobile phone will replace the Navigo pass or subway ticket. The program shall be tested next autumn with a panel of users in partnership with the SNCF Transilien, RATP and Optile, announced Valérie Pécresse, the President of Paris Region and Ile-de-France Mobilités, the organizing authority for transport in Ile-de-France, last May 25th, at Viva Technology. 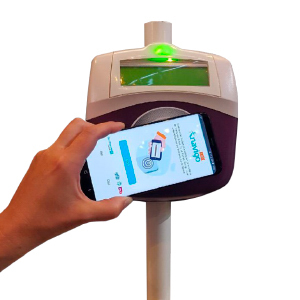 Concretely, the “testers” will pass the validation gates with a dematerialized travel ticket – monthly or weekly Navigo pass, T Ticket (train, or RER, subway, tramway, and bus) – they will have bought via the NavigoLab application and then saved on their cell-phone. Once charged, the dematerialized pass is detected by the validators even when off. This testing will initially only involve the owners of NFC-enabled Android phones. On the basis of the results, the relevant solution will then be deployed and extended to all Ile-de-France travelers in summer 2019 via the Vianavigo application. Over time, 3 million users could experience the service. Our objective is to gradually replace the magnetic ticket with new contactless devices like the smartphone, which is at the heart of the Ile-de-France citizens’ mobility. Access to a private space, passenger information functions, and means of payment management. Paris Region edits an online guide to assist parents in finding the language education that is best suited for their child. In what preschools can a toddler practice German? Where is it best to enroll a lower-secondary-school pupil coming from Great Britain and wishing to pursue his education in his/her mother tongue? This guide to international education, designed jointly by Paris Region, the Ministry of National Education and its three regional school districts, and the Onisep (National Office for Information on Education and the Professions), is for all the parents/guardians wishing to school their child in Paris Region and considering a special education in the field of modern languages. The guide provides a mapping of the various schools (preschools, elementary schools, secondary schools and high schools) according to the intensive nature of the training and the language taught: German, English, Arabic, Armenian, Chinese, Korean, Creole, Danish, Spanish, Hebrew, Italian, Japanese, Norwegian, Dutch, Polish, Portuguese, Russian, Swedish, Turkish, or Vietnamese. Make Ile-de-France a “start-up region”: on the occasion of the Las Vegas Consumer Electronic Show, Paris Region presented new measures in favour of innovative businesses in the fields of artificial intelligence and robotics. Generating growth and jobs, innovation and the development of territorial attractiveness are core regional priorities. Valérie Pécresse, the President of Paris Region, introduced three new measures at the Las Vegas CES, the leading Technology fair in the world. Over 300 French start-ups were attending the show, 40% of which are based in Ile-de-France. They have a double goal: turn Ile-de-France into a start-up region, and the “Silicon Valley” of Europe. The Paris Region Starter Pack is intended for all the start-ups or SMB of 5 to 250 employees with a turnover under $50M deciding to set up or establish a subsidiary in Ile-de-France. Objective: facilitate the siting of foreign technological firms, and grant them the treatment best suited for their project. The Pack materializes through a financial support up to an amount of €250,000 aiming to accompany development programs over a period of three years. 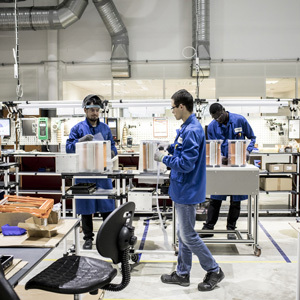 To benefit from it, companies will have to display a three-year development strategy, with a set financial plan, as well as a potential for job creation and development in France, contributing to the overall growth of Paris Region. The pack shall enable them to fund tangible and intangible investments, recruitments, strategic consultancy services, international expansion, patent registrations and extensions, as well as digital and ecological transformation. For the first time, the Innov’up Proto call for proposals aiming to support pioneering prototype development by innovative young businesses shall be open to foreign start-ups and SMB wishing to establish themselves in Ile-de-France. In addition to a financial support, laureates will receive guidance and assistance by the Regional competitiveness cluster Cap Digital. The call for projects is to be launched in the spring of 2018, and will enable 10 to 15 laureates to benefit from a maximum financial aid of up to €100,000, and to show their prototype at the Paris Region Smart Weeks in May 2019 (Vivatechnology, Futur.e.s). For 2018, the call for proposals shall be endowed with a minimum of €1M, and focused on A.I. and robotic technologies. The $1.2M “IA 2018 Paris Region” challenge is intended both for Ile-de-France companies and all the firms wanting to take root in Ile-de-France. This unprecedented competition illustrates a global ambition in the sector of artificial intelligence for the Ile-de-France ecosystem, notably in the fields of mobility and 4.0 industries (infrastructure, applications, platforms). It supplements the very strong involvement of Paris Region in the Digihall project, which deals with the creation of an international pole of reference for digital technology and artificial intelligence at Paris-Saclay(91). Competition shall open in the spring of 2018, with a jury of top-tier experts to designate the winner(s) by September 2018. Paris Region Entreprises, the agency fostering Ile-de-France attractiveness, officially launched the website parisregionstartups.fr at the Consumer Electronic Show (CES) in Las Vegas. Designed as an attractiveness tool, it is destined to thoroughly display the Paris Region ecosystem (start-ups, third places, incubators...) on a single map. 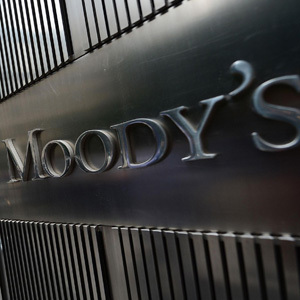 Moody’s, the company specializing in the financial analysis and credit rating of businesses and economic players, praised the Ile-de-France Region for its sound financial position. For the first time since 2011, Moody’s rated Paris Region, and gave it a very motivating Aa2/Prime-1. While the Aa2 label “rewards” the 7-billion-euro debt issuance program launched by the Region, the Prime-1 rate encourages its one-billion-euro program for the issuance of short-term marketable securities. Paris Region was thus graded at the same level as the French State. The Aa2/Prime-1 issuer rating granted to Paris Region reflects its strong operational performance, solid governance framework, and sound debt management practices, but also its undisputed access to financial markets , underlined Matthieu Collette, Moody’s’ vice-president and chief analyst for the area. Hailed for its cautious budget strategy displaying credible long-term budgetary targets and prudent forecasts, Paris Region was also honoured for its sophisticated financial practices, and notably for steadily issuing green and responsible bonds, that allow the funding of numerous projects in Ile-de-France. Valérie Pécresse, President of Paris Region, and Stéphane Salini, Vice-President for Finance and Public Policies Evaluation, greeted this rating as an acknowledgement of the first results triggered by the 2016 cost-cutting plan implemented in a break with former years. In particular, Paris Region reduced its operating expenditures by 3.7% in 2016 (saving more than €250M over two years). Moody’s’ competitor Standard & Poor’s already raised the rating of Paris Region from “negative” to “AA” last May. Brussels honoured Ile-de-France as the EU region developing the most business-, entrepreneurship- and innovation-friendly policies. Paris Region received the European Entrepreneurial Region (EER) 2018 Award from a jury presided by the European Committee for the Regions President Markku Markkula, and gathering representatives of the committee, the European Commission, the European Parliament, and the European Economic and Social Committee. The label distinguishes and rewards the regions of the European Union implementing the policies most favourable to entrepreneurship, innovation, and business. This distinction is fully in line with Paris Region President Valérie Pécresse’s will to turn Ile-de-France into a pro-business region. Among the three regions awarded – Ile-de-France, North-West Ireland and Central-Macedonia – Paris Region is the only French one. Improve the interactions between the different players of entrepreneurship (universities, companies, start-ups, labs). In this context, Paris Region supports the emergence of world-renowned clusters like Paris-Saclay, welcomes international entrepreneurs and investors, notably through the newly-launched “Choose Paris Region” single window, sustains the growth of the regional SMB network via the dedicated appliances PM'up and TP'up, boosts the digital transformation of the territory, and invests massively in public transit and in favour of the international lycées. The four new recipients of the Blaise Pascal Excellence Research Chairs were selected amongst 18 applicants. 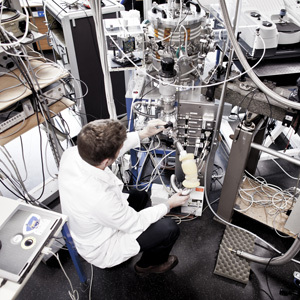 Created in 1996, the Blaise Pascal Excellence Research Chairs device, entirely funded by Paris Region for €760,000, enables the reception of high-level and internationally renowned foreign researchers from all disciplines in higher education institutions of Ile-de-France. Justine Cassell, internationally recognized American researcher, professor in language technology and human-computer interaction, whose topic of research has social applications, notably in the fields of health (communication with autistic children, services to the elderly…), is invited at the Institute for Intelligent Systems and Robots (ISIR) and the SMART Labex (Université Pierre-et-Marie-Curie, Sorbonne Group of Universities and Institutions). Tianhong Cui, US-based Chinese professor in mechanical engineering with an international career, whose research project focuses on urban sustainability and especially on nanosensors used in environmental science and biology (for instance to detect pollutants in water) for a more efficient management of the urban metabolism in the framework of “smart cities”, is invited at ESYCOM (Superior Engineering School in Electrotechnics and Electronics of Paris, Paris Est Group of Universities and Institutions). Patrick Haggard, English professor in cognitive neuroscience, one of the top world experts specialized in the study of the cognitive functions involved in the human will to act, an issue at the interface of philosophy, psychology, and cognitive neuroscience, whose project covers the connections between conscious awareness and voluntary action, is invited at the Cognitive Neuroscience Laboratory of the Ecole normale supérieure (PSL Group of Universities and Institutions). Mihai Datcu, Romanian researcher with an international reputation in the field of Data science for the observation of the Earth, whose project explores the new challenges raised by automatic learning for very heterogeneous data, is logically invited at the Centre d’études et de recherche en informatique (CEDRIC) of the National Conservatory of Arts and Crafts (HESAM Group of Universities and Institutions). Ile-de-France is the leading French region for the reception of foreign students. Since September, the new House of Ile-de-France has been accommodating students and researchers within the International University Campus in Paris. With its 142 rooms, the House of Ile-de-France was settled south of the park, along the Boulevard Périphérique, between the Houses of Cambodia and Lebanon. It contributes to widen the student-housing offer of the international campus and reflects the common will of Paris Region and the Cité Internationale Universitaire de Paris to actively participate to the international attractiveness of the territory and of its universities, in a very competitive global context, to attract students and researchers. Over time, the Villages Nature complex will offer 2,450 accommodations on a 642-acre site. Financed by the Region, which also was the public contracting authority on the project, for an amount of 21,640,000 €, the House meets the environmental goal ZEN, for Zero Energy. 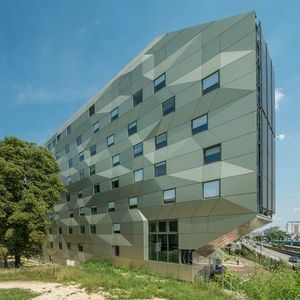 The House of Ile-de-France is actually the first energy-plus multi-dwelling building relying only on solar energy that was built in France with a thermal storage system so big: two thermal stores of 2754 cubic feet each. It is also the first fulfilment of the large Cité2025 development project of Campus. Pursuing its humanist purpose, the International Campus increases its bed capacity by creating 10 new houses (1,800 new rooms), and adapts to the expectations of 21st-century international students by updating its infrastructures and services until 2025, the year of its 100th anniversary. The development project stems from a strong ambition: to transform the Cité Internationale into an innovating reference campus for international students and researchers. In order to address an ever-growing demand, Paris Region is to double the number of places in the international sections of Ile-de-France high schools by 2020. Offering 20,000 places in the international sections and bilingual classes of the public high schools of Ile-de-France by 2020: that objective was reminded by Valérie Pécresse, the President of Paris Region, during a visit at the Lycée Jean-Pierre-Vernant in Sèvres (Hauts-de-Seine) with Jean-Michel Blanquer, the Minister for Education. In 2016, Paris Region had 46 international sections representing around 10,000 places, and 46 bilingual sections or classes. In comparison, London offers 16,702 places, and Brussels around 25,000. We anchor the project of a bilingual and multilingual region, open to the world. For all the sections, demand is very strong, and exceeds supply. These sections are very attractive, and extremely selective. We need to create more places. Our wish, in a coordinate strategy with the State, is to accelerate the development of these classes, and to boost the private on-contract sector in Ile-de-France , underlined Valérie Pécresse. With 16 international schools, Ile-de-France stands before Frankfort (4), or Berlin (13). Paris Region already has 6 international public high schools, and 3 more will shortly open in Courbevoie (Hauts-de-Seine) in 2018, Saclay (Essonne) in 2021, and Vincennes (Val-de-Marne) in 2022. Paris Region launched an unprecedented €5M investment plan over ten years to welcome 22,000 new students, and renovate 6.5 million square-meters of space in existing high schools. Reinforce and reaffirm its position as the number one region on the international stage: this is the objective of the #Leader economic strategy launched by Paris Region. Ile-de-France has many assets: it is the leading European region in terms of wealth, before Lombardy (Italy) and Greater London (Great-Britain), and it can rely on a major international financial centre as well as 1.3 million businesses of all sizes. Yet it faces difficulties, which are as many challenges: a fall in industrial employment (-26% between 1998 and 2013), recruitment problems in some sectors, a negative migratory balance, and an unemployment rate at 8.5% of the labor force, especially among young people. The potential of our region has obviously been largely underutilized, and the new regional strategy intends to take full measure of the ongoing transformations. In view of this, Paris Region offers to redefine its development action lines over the next five years, for instance in regard to business support and consulting. Attract businesses to Ile-de-France, increase the internationalization of our local businesses, and support the development of internationally identified “Project Hotbeds”, like Grand Roissy or Saclay. Focus on strategic value chains (aeronautics, digital environment, tourism…), become a global hub for business-friendly innovation, and grow the SMEs. Support the creation of start-ups, anticipate the evolution of corporate needs in terms of skills and recruitment, favor the economic diversity of Paris Region, and galvanize economy in the rural and underprivileged areas. The outlines of our collective ambition are clear: release and encourage the outstanding growth, employment and innovation potential existing in Ile-de-France, so that it becomes the World’s leading region by 2020. To achieve this goal, Paris Region is to bring together all its expertise and become the invaluable partner for all actors of the economy (companies, public entities, associations, universities and Grandes Ecoles) on its territory. Inaugurated last October 10th, this new holiday village located close to Disneyland Paris is to enhance the touristic drawing power of the Eastern part of Ile-de-France. This is a new catalyst for Ile-de-France tourism. A joint project carried out by Euro Disney and Center Parcs, Villages Nature opened its doors in Seine-et-Marne, near Disneyland Paris. It is targeted to attract 900,000 visitors a year to the 1,610 flats and cottages of the village, which also includes Europe’s largest water-park, Aqualagon. The new leisure destination is to lead to the creation of 4,500 direct and indirect jobs. Paris Region invested €15M in order to accompany this project in terms of transport, energy, tourism, and schooling. Recognizable by their purple jackets, they were deployed between December 17th and 31st to the major tourist sites of Ile¬-de-¬France. Their mission: to make the tourists want to come and visit, and to come back again. Valérie Pécresse, President of the Ile-de-France Region, launched the new “Volunteers for Tourism” plan last December 13th, in the context of their dedicated training day. In order to improve the quality of our reception, at a time when the Ile-de-France tourism sector suffers a crisis, the president of the regional executive decided to deploy volunteers, recognizable on the field by their purple jackets, to the major tourist sites of the Region: Montmartre, the Boulevard Haussmann department stores, the Eiffel Tower, the Louvre museum, the Parisian airports, Disneyland Paris… As well as in Vincennes, Versailles, Saint-Germain-en-Laye, Saint-Denis, Auvers-sur-Oise, Fontainebleau, or Provins… from December 17th to 31st. The launching of this ‘Volunteers for Tourism’ device is the first stage of the sectoral recovery plan I wished to implement for our destination , emphasized Valérie Pécresse. The quality of our reception strategies, of the information and services we provide to visitors coming to Paris and Ile-de-France, plays a major role in the tourist attractiveness of the territory. We must do everything in our power to attract new tourists and retain those who wish to come back. Almost 100 volunteers were trained by teams from the Regional Committee for Tourism (CRT) Paris Ile-de-France, and were assigned with the mission to inform and guide the French and foreign tourists visiting the region during the end-of-year season. The training focused on the behaviors that should be adopted to provide a top-quality welcoming of the tourists, through the role-playing of concrete cases (appropriate ways to welcome a French family, a young English couple…), during which trainers and trainees also tackled notions like proactivity, security, multiculturalism, and the personalization of the given answers. Frédéric Valletoux, president of the CRT Paris Ile-de-France explains: The CRT and its partnership network are totally committed to the implementation of the stimulus policy the Region develops for tourism. An expert in both reception and training, the CRT assists the tourism professionals so that they gain the best possible understanding of the way the tourists’ expectations evolve. Anxious to participate in this ambitious service-oriented approach, many partners will get involved in this device and accompany it throughout its implementation: the Louvre, Viparis, Paris Aéroport, the Union du grand commerce de centre¬ ville (Galeries Lafayette and Printemps department stores), the Châteaux of Versailles and Fontainebleau, Le Bus Direct, SNCF Transilien, Vedettes de Paris, Disneyland Paris and several tourist offices (Montmartre, Vincennes, Clichy, Issy-les-Moulineaux, Boulogne-Billancourt, Versailles, Saint-Germain-en-Laye, Plaine Commune¬ Grand Paris, Fontainebleau, Provins, Roissy-¬en-France, Enghien-¬les¬-Bains, Auvers¬-sur¬-Oise, Pays des Impressionnistes, Marne et Gondoire…). Tricots Saint James is yet another partner, which participates in the volunteers’ equipment. Agnès Vigneron, director of the Galeries Lafayette Haussmann, declared: At a time when supporting our tourist industry is more than ever essential, we are very pleased to support this promising action by making our flagship Boulevard Haussmann store available to the volunteers. Jean--Luc Martinez, chief executive of the Louvre museum, also attested: The Louvre goes into action by providing an optimal reception, so that the tourists enjoy a moment of wonder when visiting Paris and the Louvre museum. For the Château de Versailles, its president Catherine Pégard said: The many-years-old attractiveness of the Versailles palace to visitors coming from all over the world requires a quality of reception and service that meets the high standards of a site epitomizing the French art de vivre. The ‘Volunteers for Tourism’ will help the visitors in finding their bearings as soon as they arrive in Versailles, and provide them with the information they need. They will therefore strengthen the existing reception framework of the Château de Versailles. This first experiment shall be repeated on a wider scale, during tourist season, as of Spring 2017. In the 9 first months of 2016, against a background of terror attacks, social movements, and bad weather conditions, and despite the holding of the Euro 2016, the number of overnight stays in hotels dropped by 10.6% – ¬14.4% for international tourists, and 5.3% for the French tourists – which represents the largest decrease since 2010. Simplifying the establishment of international companies in Ile-de-France: such is the tenet of the “single window” that was launched November 3rd by the Ile-de-France Region, the City of Paris, the Métropole du Grand Paris, the Paris-Ile-de-France Chamber of Commerce and Industry, and Business France. The battle the Region needs to focus all its energy on is the battle for attractiveness, because let’s never forget that what is at issue beyond this is the crucial battle. It is with these words that Valérie Pécresse, the president of the Regional Council, welcomed the launch of “Choose Paris Region” on November 3rd. This single window was designed for foreign investors thanks to the pooling of resources from the Region (via its associated body “Paris Region Entreprises”), the City of Paris, the Métropole du Grand Paris (Greater Paris), the Paris Ile-de-France Chamber of Commerce and Industry, and Business France. A single window, who for ? “Choose Paris Region” is aimed at all the foreign companies that consider settling in Ile-de-France and provides them with a global support. Some ten permanent staff members will be working at the premises of Paris Region Entreprise, in the 19th arrondissement of Paris, to answer the investors’ inquiries. A single window, what for ? The single window tackles all the questions the companies might have, including those regarding their employees’ reception (residence permit, employment of spouses, and educational questions, notably by directing them toward the international classes in Ile-de-France). What role does the Region play in this single window ? The Region granted a plus 137 million budget for innovation in 2016. Located between the towns of Noisy-le-Grand (93) and Bry-sur-Marne (94), The Lycée international de l’Est parisien opened its doors upon return from the last summer holidays. It is to welcome 1,200 students in five international sections by 2019. 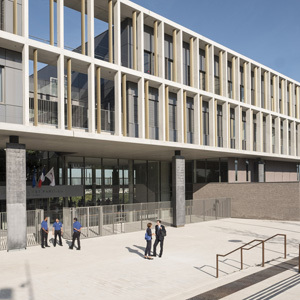 Noisy-le-Grand and Bry-sur-Marne waited for 14 years and it finally happened: the Lycée International de l’Est parisien was inaugurated by Valérie Pécresse, the President of the Ile-de-France Region, on September 1st. For a start, 175 Year 11 students, including 50 boarders, will be trained from this year on in the five international sections the school offers: Arabic, Chinese, Brazilian, and two British/American classes. The school shall reach its cruising speed progressively, to welcome a total of 1,200 students including 150 boarders by 2019. The development of international high schools is a natural part of our international attractiveness strategy for the whole territory. This school symbolizes the direction I want to give to my action. It is the first secondary school of excellence to open in eastern Paris. And we won’t stop there! said the Regional Council President, who wishes to boost similar projects, with the goal of one high quality international lycée per Department . Nestled in a 3-hectare park also housing a landscaped fitness trail, a multi-sports ground, and several terraces surrounding the boarding school premises, with huge bay windows overlooking Paris, the six-storey school has classrooms, offices, a library, an auditorium and a cafeteria. The site was also very carefully secured with a network of 16 surveillance cameras around the school. The Lycée International de l’Est parisien is part of the new generation of 100%-digital schools and uses all the current digital learning mediums and paths like digital boards or video. The Region invested more than 56 million euro to build this innovating school. The International Olympic Committee (IOC) designated Paris as the host city for the 2024 Olympics and Paralympics. Paris Region is proud to welcome the competitions and athletes! This represents more than the original 145 million target, because the Region needs to cover its deficit in sports infrastructures, said Valérie Pécresse, the President of the Regional Council, then adding: We really want to democratize sports, which is one of the priorities of our policy, and to reduce territorial inequalities. GlobalCapital, an information website specialized in international financial markets, just awarded his trophies for Best public issuer of green and responsible bonds and Best bond issue of the year in the public sector to the Ile-de-France Region on September 6th in Amsterdam, during the Euromoney/GlobalCapital Sustainable & Responsible Capital Markets Forum, a conference dedicated to responsible finance. Indeed, last june, the Ile-de-France Region raised an aggregate 650 M€ for a period of nine years, at a 0.59% rate. The transaction met great success, and a strong appetite among investors, reflecting both the signature quality of the Region and the credibility of its green and socially responsible investments strategy. The Ile-de-France Region is proud of this acknowledgement, which rewards the hard work and daily efforts implemented to fight global warming. The laureates were voted on by a panel of investors, issuers, banks and other players of the debt capital markets in July 2016, at an international scale. The Region was awarded alongside recognised and innovating players like the World Bank, the EIB, and Apple. It is the new inescapable meeting about digital design and innovation. The live demonstration that Paris Region is the new European techno hub. 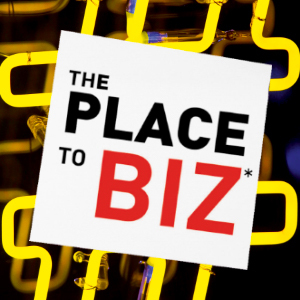 From May to July 2017, in Paris and its surroundings, the very best innovators in France will be joining around events, meetings, and discussions. 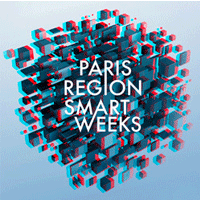 With the Smart Weeks, Paris Region intends to gather local communities, civil society and private actors around big international events dedicated to digital technology. One goal: to strengthen Paris region as one of the major techno-hubs in the world and the leading Smart Region in Europe. The Paris 2024 Olympic Games will see a new vision of Olympism in action, delivered in a unique spirit of international celebration in the birthplace of the modern Olympic Movement. We will offer one of the world’s greatest cities as a memorable stage for the world’s greatest athletes, connecting the beauty, symbolism and global influence of the City of Light to the power of the Games. Athletes will enjoy optimal conditions, with 80% accommodated within 30 minutes of their competition venue. 95% of our venues will be existing or temporary facilities; 100% will have a legacy from Paris 2024. Our responsible and sustainable Games concept aims to minimise investment costs while optimising benefits for our communities. Our vision to place sport at the heart of society includes a focus on bringing sport into public spaces within the city. 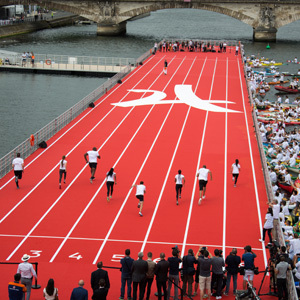 During the Games, Paris’ greatest sites will be transformed into stunning stages for sport, from Equestrian at the Chateau de Versailles to Beach Volleyball at the foot of the Eiffel Tower and Archery at the Esplanade des Invalides. A further example is the River Seine – a timeless actor in the life of Paris, which unites the heart of the city with the emerging Grand Paris. Athletes will live and compete in venues all along the river, which itself will become part of the city’s sporting life when it hosts Triathlon and Marathon Swimming. The Seine will also be a focus of the popular celebration around the Games. A fan ‘river trail’ comprising live sites, sports demonstration zones and other athlete-led activation will help bring the spirit of Olympism right into the heart of our communities. France is candidate to be the 2025 World Expo host country. Paris Region is at the heart of this candidacy. France’s candidacy is driven by the will to stay true to the initial spirit of the great universal expos, to scrupulously respect the International Bureau of Expos’ (IBE) terms and specifications and to renew the concept to bring to it the modernity that comes from the evolution of uses and technologies. With one goal in mind: to offer the visitor an immersive, interactive and unrivaled experience. The 2025 World Expo is organized around one central space “The Global Village”, of great “Theme-specific Forums” spread out over many sites and a catalogue of “Detours” throughout France. By extensively revisiting the mobility we allow for the travelling times to be optimized offering the visitors the opportunity to continue their immersion thanks to new technologies. Time is no longer endured but rather lived as a moment of exchange and sharing. The concept of “medals” which were given to deserving innovative products in the nineteenth century is today reintroduced as a system of quality seals that will bless the products and innovations that have tackled the ethical and sustainable stakes of this new century.